RS has had a great run ending the year of 2014 with an diluted EPS of 42.85. While this is fantastic news, we will have to see if the story of the future is still as fantastic as it was last year. The payments industry worldwide is controlled by Visa and Mastercard with over 88% marketshare. ( China data not included). Though it is an oligopoly the industry itself is prone to continuos disruption, which is only partially mellowed down due to hardware and network switching costs. Apple, Facebook and even Google are all concentrating on becoming formidable powers in the payments industry. Ever since many countries currencies have de-linked their relation to gold reserves, new currencies are continually posing a threat to the existing ones- Bitcoin for e.g. However, all these new modes of payments will still need payment processors and RS Software powers these payment processors and RS is continuously being ahead of the curve, or at least they claim to be. The issue with the current situation is this, RS spent most of the last decade maximising their relationship with Visa almost to a point of perfection. The untold truth is that, Visa too would not like to be too dependent on a company like RS beyond a certain point, and if my guess is right RS is pretty darn close to that certain point. To deal with this problem and because of their inherent strength, RS has hired a sales team which has been functional for little over a year. They are supposedly good and will largely look at de-concentration of clients and even begin to look for work in India. (RuPay may be real big). They are also looking at tying up with UnionPay of China, but i really have my doubts on that one. Also RS is sitting on 110cr of cash and is actively looking at acquisitions. RS is categorically against cross border transfer (Western Union) and Banking, and are looking at companies that strategically fit into RS and are also cash positive companies. By the tone of Mr.Jain, it also seemed quite certain that RS will not make a levered buyout. 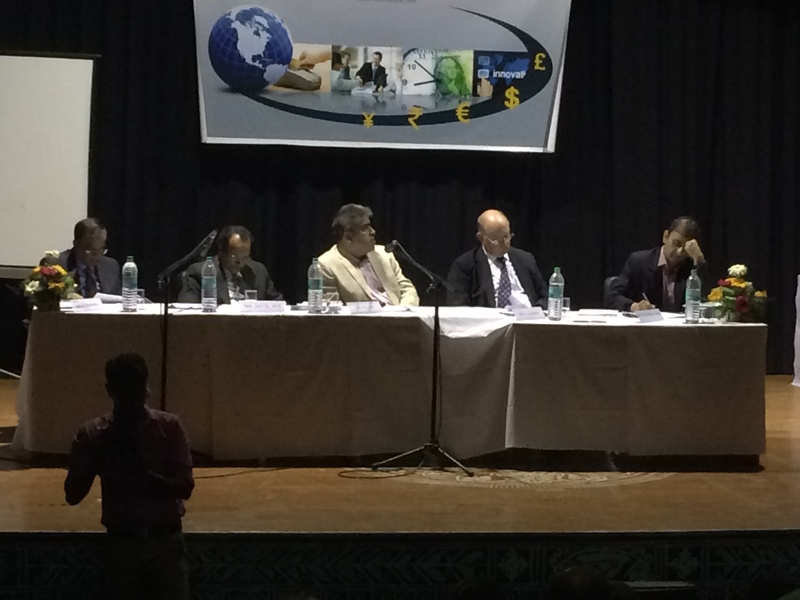 I attended the AGM this year and was pretty appalled at the questions the Bengali Babus came up with. All they wanted was big bazaar coupons. Well, the reason i brought up the AGM here is because Mr.Jain sounds really upright in all his speeches and the Annual Report acts like it is dying to please you with its transparency, but actually Mr.Jain is conveniently allotting himself shares and increasing stake in the company by issuing new equity via preferential allotments and passing resolutions via the e-vote and crafty Mr.Surana brings up the POINT NO 3, in the AGM and declares it as passed even without informing the shareholders what it was for. My conclusion here is that the management may be able and motivated, but that little act has majorly damaged its rating of management integrity for me. Summing it up, the company spends 65-70% of its revenues on salaries, operates in a niche segment, is a segment expert and is capable of spewing out at least 55-60 cr of cash every year. The next phillip will be either from the acquisition it makes or new business from the sales team. I’m quite happy owning this cash generation machine, except of course of Mr.Jains preferential allotments which our screwed up governance system will legally allow. Unless the company really screws up somewhere a 4 figure CMP is not more than 3 years away. Thanks for a nice update from AGM. Any thoughts on RSSoft Vs Accelya as an investment option at current levels. Both have their own niche in the service/product that they sell. Accelya has a more or less stated objective of sharing the cash with investors. Mgmt. integrity looks a notch above that of RSSoft. TTM PE multiple looks higher for Accelya but is supported by the fact they are seeing a large client move out (currently in transition). Not sure if you are tracking Accelya. If you do have a view, please share. Hi, you mentioned Mr. Jain again has allotted the preference share. Can’t find that in the Outcome of AGM release. Point no 3 says Reappointment of Mr. Jain. Can you give the details of the allotment ? Biggest clients wants to get solo ? looks like it. not surprised though. The indian market is too damn huge for visa to not want to do most of the work by itself, and trust its reputation elsewhere. The opportunity is great in the payment space. However, WIPO is managing the backend for PayTM and Microsoft is going all out. Against these players, i doubt RS can largely differentiate. However, my main reason from staying away is because i am not sure about the management. The movement in the stock was a clear sign of manipulation. Can you please explain the last statement for the benefit of your readers.. like myself. I am invested in RS Software. So have an additional interest in knowing why you think so and the tell-tale signs to look out for future.